Realme is a new smartphone brand in partnership with OPPO. After teasing a new brand yesterday in Amazon, now it has been teased that new device will be launched on May 15th exclusive to Amazon India. New Realme brand will name the first device as Realme 1. 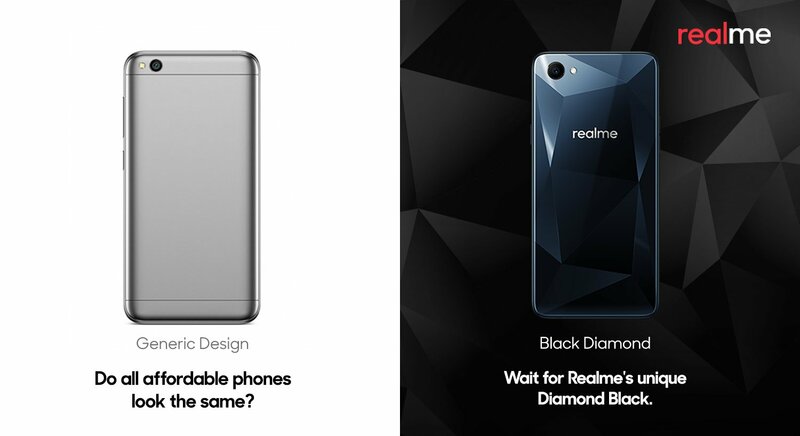 Amazon has teased a device with triangular-cut patterns Black Diamond version. OPPO has announced an OPPO A3 with similar Diamond patterns on the back of the phone. But it has been compared with Redmi 5A, hope the Realme which sounds like Redmi will come at the budget price. Amazon also teased that the device has undergone multiple tests, with 20,000 drop and USB tests and 100,000 button tests, every aspect of the Realme 1 is stringently checked to ensure the highest possible smartphone quality for your usage.